At present, Service Tax is chargeable on services provided by restaurants, eating-joints or messes which have the facility of air-conditioning or central air-heating in any part of the establishment at any time during the year in relation to serving of food or beverages. Restaurants, eating-joints or messes which do not have the facility of air -conditioning or central air-heating in any part of the establishment are exempt from service tax. 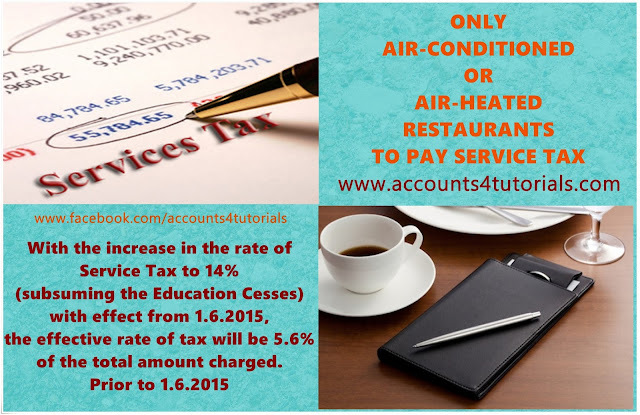 In other words, only air-conditioned or air-heated restaurants are required to pay Service Tax.